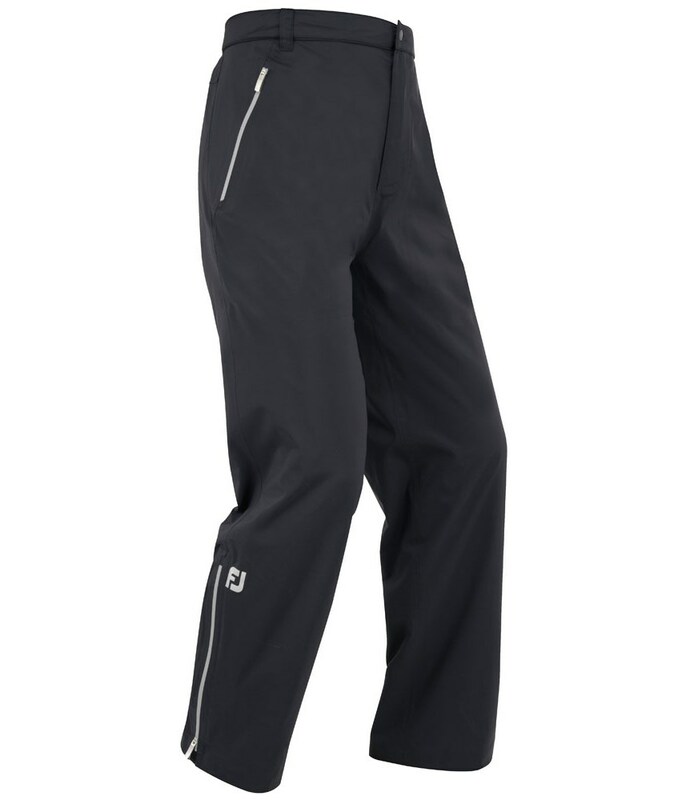 Sizing Guide The FootJoy DryJoy Select Trousers is lightweight waterproof over trouser that will allow you to stay protected from the different and varied weather conditions that we all play in through the year. Built for comfort the FootJoy DryJoy Select Trousers feature the latest Xtreme DWR Finish that will help repel water and provide exceptional breathable properties to make sure that you do not sweat while wearing the trousers. To give you that extra bit of protection FootJoy have used a YKK Aquaguard Vislon waterproof fly zipper to make sure that no rain can get through. The zipper is also extremely easy to use and the trousers can easily be put on and taken off in seconds. 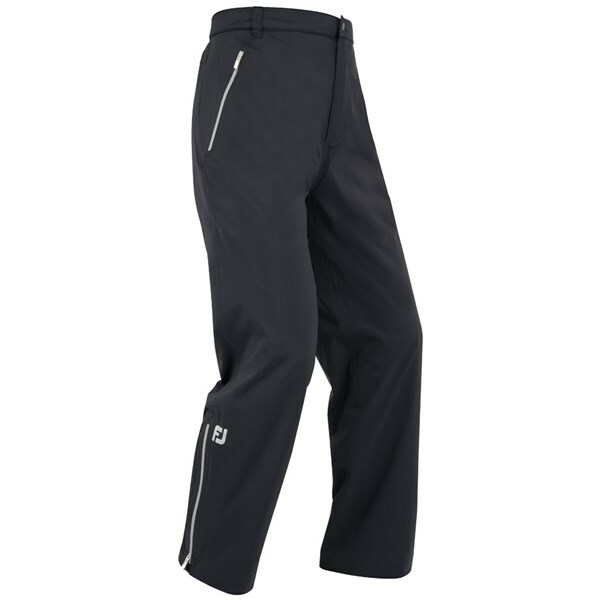 Leg zippers have been used to further enhance the comfort and the fit of the FootJoy DryJoys Select trousers. An adjustable gripper waistband has been used to ensure that the trousers do not slip while walking and swinging the club. Xtreme DWR Finish -This waterproof technology provides maximum protection in the toughest golf conditions, easily beads water and sheds it from the shell. YKK Aquaguard® VISLON® Waterproof Fly Zipper - A waterproof front zipper allows for easy-on and easy-off wear, while protecting you from the elements. Adjustable Grippier Waistband - The adjustable gripper waistband ensures a comfortable non-slip fit. FootJoy offer a matching Jacket for the DryJoys Select Trouser, click here to see the FootJoy DryJoys Select Jacket.